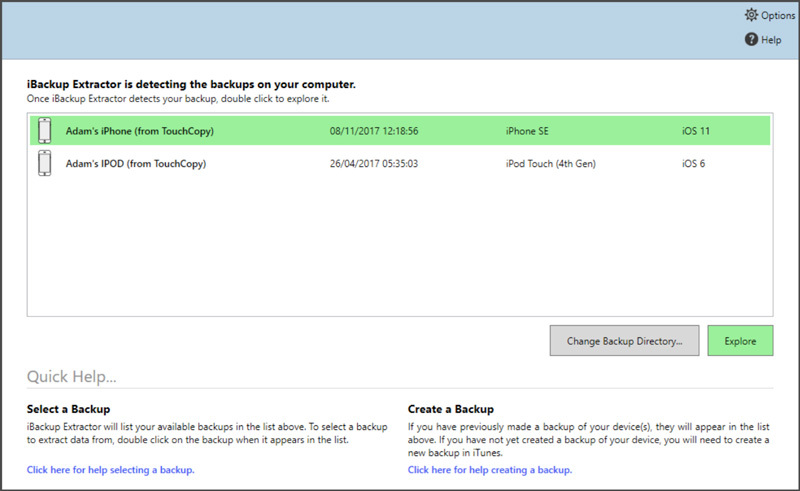 Select a backup from the backup selection home page of the program. 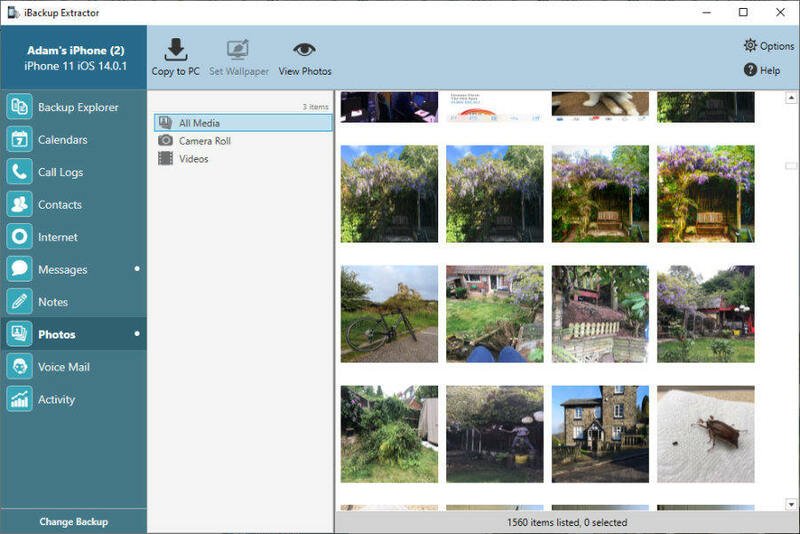 Choose where to save your photos to on your computer, and click OK.
Once the program is launched, you will be presented with a list of existing device backups which have been detected on your computer. To access a backup, select it from the list, and hit Explore. If an existing backup has not been detected, you can tell iBackup Extractor to look in a the relevant location on your computer by using the "Change Backup Directory..." button. After this is done, you can start browsing through your backed-up data, and extract it onto your PC/Mac. You can browse through your Calendars, Contacts, Notes, Messages, Photos, Internet browsing history and your iPhone call logs and extract these files to your computer. Open iTunes and connect your device. You'll see a small device icon appear next to the Music dropdown box when your device is connected, click it. In the Summary tab, under "Backups", click "Back up Now". iTunes will then create a new backup of your device. Once the backup is complete, you'll be able to close iTunes and open iBackup Extractor, which will list your new backup in the dropdown box.